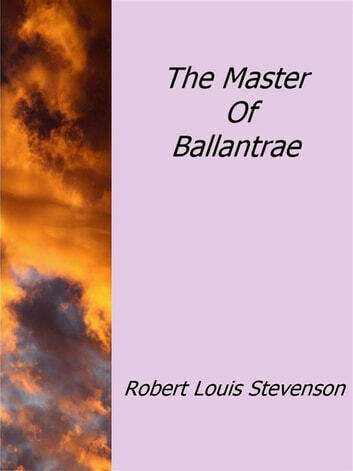 “The master of Ballantrae” is a novel written by Robert Louis Stevenson in 1888 and is certainly the most novel and complex thought of Scottish author. The plot of the book revolves around the conflict between two brothers Scottish nobles, whose family is torn apart by the Jacobite Rising of 1745. The charm of this literary work lies in its complexity, in its clear division between "good" and "bad", as well as in the long period through which the story unfolds, allowing the reader to be conducted through various countries and take many adventures. Stevenson teaches us that good and evil are two opposite things to each other but live together until one party or the other eventually take over. Find Henry, the protagonist of this novel, a faultless person, well, , where good and evil coexist in perfect balance, until they get some hard choices that inevitably confront life. And then there's James, the brother of Henry, fascinating, mysterious, adventurer, but often devoid of morality and righteousness. This story is very old: it is a tale of two opposites, is the story of love and hate between two brothers. This report will be complicated by a romantic intrigue, when Henry will remain infatuated with a woman who craves for the irreverent and mysterious James. The background of this irreducible conflict between brothers also dynastic wars flow, fights between periods of Scottish nobles, pirate adventures , travels for Indies and unexpected surprises.